Basically, Japan has good peace and order. However, natural disasters such as an earthquake or the heavy rain increases in recent years. 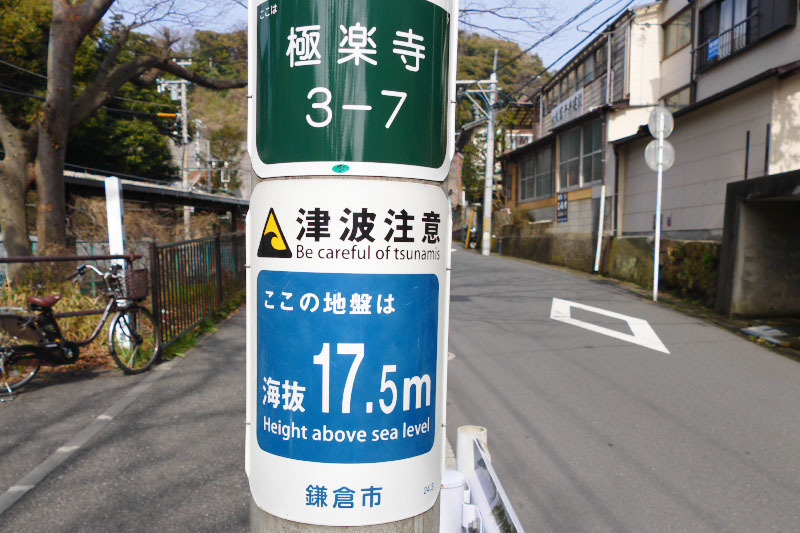 Especially in Enoshima and Kamakura, many places may be flooded by a tsunami and storm surge because of seaside. For your safety and pleasant journey, we'll give you advice and information for when you left your belongings, get injury, become sickness, meet on crime or suffered from a disaster. Quick Reference "When you are in following situation..."
You have better to go nearest shop, restaurant, tourist information or people around you to ask for assistance. Also if you call 119 (nation-wide common number), you can contact and request nearest municipal fire and ambulance service directly. Phone operator understands English, Chinese(Simplified), Korean, French and Spanish. Go to the nearest police station or if you call 110 (nation-wide common number), you can contact to phone operator of police call center and request help. If you feel strong earthquake, go to the high place immediately when you are in seaside or low place. The warning about Tsunami tidal wave may be announced after a quake. In Japan, there are 3 types of warning for Tsunami. A siren sounds from municipal disaster warning broadcasts. 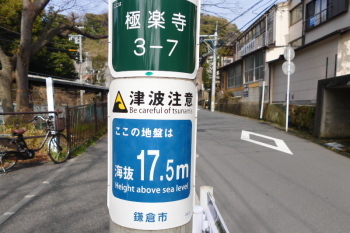 Some utility pole in Enoshima, Fujisawa and Kamakura has a signboard indicating the height above sea level here. If you are in the high place such as Enoshima Jinja Shrine, Okutsunomiya Shrine and Samuel Cocking Garden, wait until a situation calms down. Both Fujisawa and Kamakura City designated "Safety Evacuation Area"[広域避難場所], "Tsunami Shelter/Evacuation Site"[津波避難場所] and "Tsunami Escape Building"[津波避難ビル]. 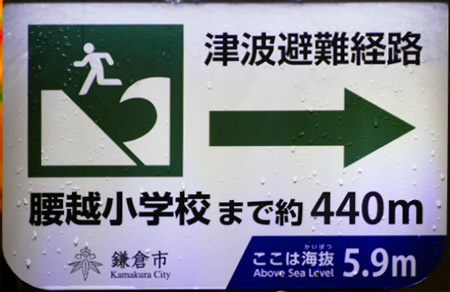 When a tsunami warning is announced, go to "Tsunami Shelter/Evacuation Site"[津波避難場所] immediately. "Tsunami Shelter / Evacuation Site". If you follow the arrow, you can go to the nearest Evacuation Site. Direction of the mark may vary by the place, anyway please follow the arrow. will be open as temporary evacuation place when a tsunami warning is announced. Some buildings display green cross + mark instead of it. Enoden Line issue the booklet of map which showed a location of emergency evacuation site for every station to help your urgent evacuation at the time of the disaster. Most contents is written in Japanese, but English written jointly in some important information. 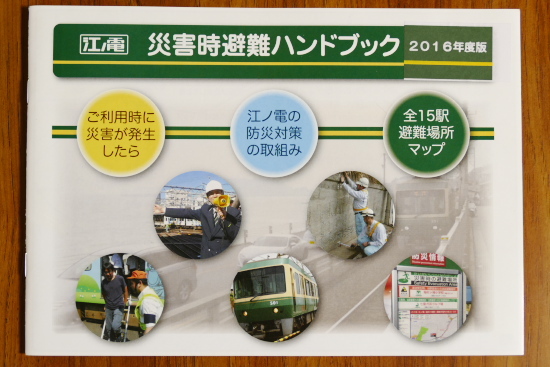 You can take it out for free at the platform in every station of Enoden Line. Go to Nakamise Street first and go up the slope to Enoshima Jinja Shrine. Then, go up stairs to Samuel Cocking Garden. When you are in east side of the island, it is possible to go to Enoshima Jinja Shrine from Higashimachi via alley. If you cannot to reach there, go to the roof top of Enoshima Yacht Harbor building one of "Tsunami Escape Building" in the area. Shonan Shirayuri Gakuen High School [湘南白百合学園高等学校] (a few minutes walk to north from Kataseyama Park) *Here is assigned for Evacuation shelter for Foreign visitors. Volunteer interpreters will be arranged. Wide range of the center of the town may be flooded deeply if a tsunami hit the area. Go to Ryukoji Temple first and go up the road in the left of the temple's gate. When you walk the mountain side road about 10 minutes, you will arrive under Mejiro-yamashita Station of Shonan Monorail. Kataseyama Park is in next to the station entrance. Tsunami Evacuation Site: No Tsunami Evacuation Site near the seaside. 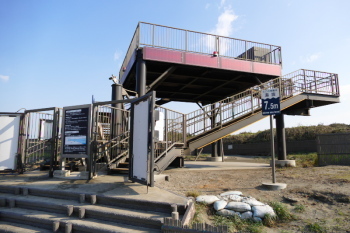 There is a "Tsunami Escape Tower" in Shonan Kaigan Koen beach park. Most of seaside roadside big buildings are designated "Tsunami Escape Building" and accepts emergency evacuee, when the warning announced. This area is mostly seaside and flat. So, it is predicted that a tsunami enters to the inland. 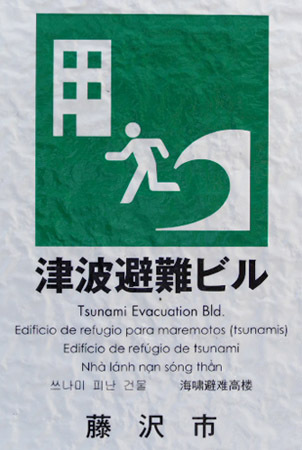 Go to the seaside road and enter the nearest "Tsunami Escape Building". 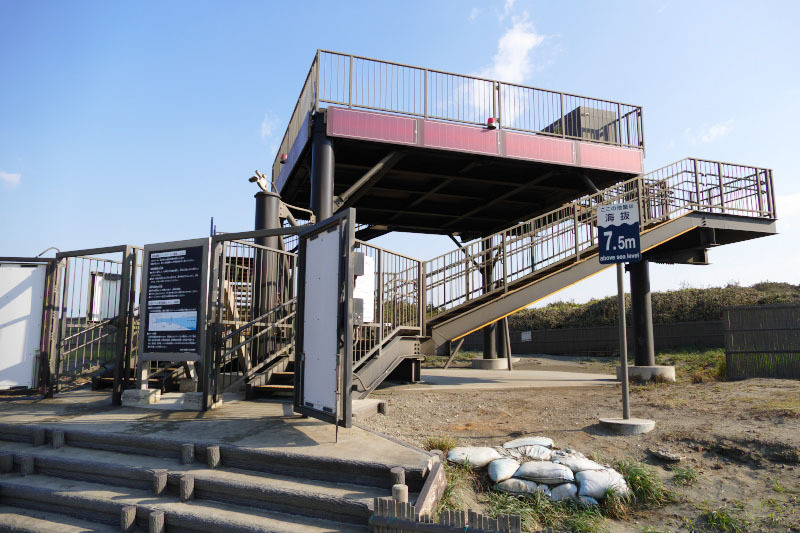 If you are no time to evacuate, go to "Tsunami Escape Tower" in Shonan Kaigan Koen beach park. This area is mostly seaside and flat. So, it is predicted that a tsunami enters to the inland, except for western area near Ryukoji Temple. Go to northern mountainside Koshigoe Elementary School is the best way to evacuate in the area. However if you are in the seaside and no time, Koyurugi Jinja Shrine (in eastern seaside mountain) or behind mountain of Manpukuji Temple is also near high place. This area is facing seaside, but here is also high mountainous area. Only you have to leave the seaside and better to go to Kamakura High School as soon as possible. This area is facing seaside, but here is also high mountainous area. Only you have to leave the seaside and better to go to mountain side as soon as possible. Police Station: Turn left from the station, then turn right in front of 7-11. Soon your right side. Hospital: No hospital near here. This area may be flooded by a tsunami slightly at the place of the seaside from railroad. Go to mountainside from the railroad as soon as possible. Police Station: No police station near here. This area may not be flooded because of here is in mountain. Stay here until the situation calms down. Not to go down the slope for Hase direction from Jojuin Temple. Police Station: About half way from Yuigahama Station and Kamakura Museum of Literature. Hospital: Kamakura Byoin hospital [鎌倉病院] is in near Great Buddha (Kotokuin Temple). Wide range of the center of the town may be flooded deeply if a tsunami hit the area. It is insufficient only by leaving from the seaside. Go to mountainside immediately such as Hasedera Temple, Kosokuji Temple and Kamakura museum of Literature! Going up the slope to Jojuin Temple is also good for evacuation. Police Station: Next to East Exit of Kamakura Station. Another one in front of City Hall (One block from West Exit of Kamakura Station). Hospital: Kamakura Nishiguchi Clinic [鎌倉西口クリニック] is opposite the square in front of West Exit of Kamakura Station. 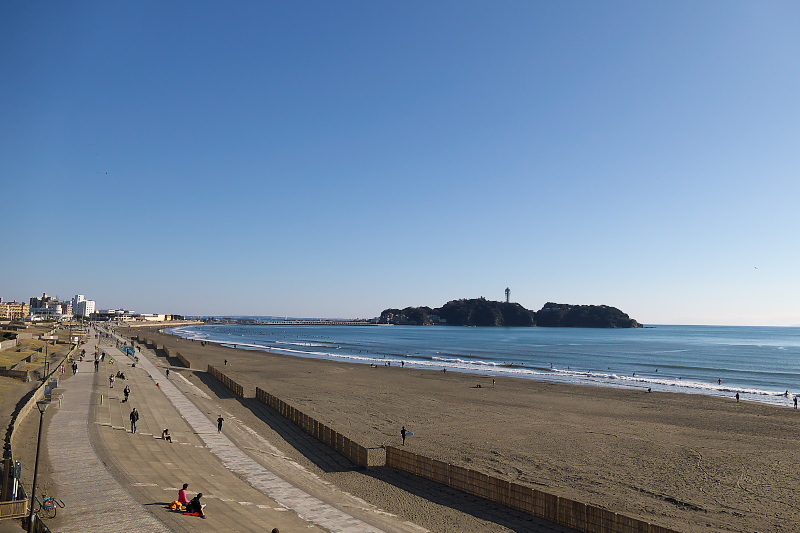 Wide range of this center of Kamakura city may be flooded deeply if a tsunami hit the area. You must need to evacuate to other high place area urgently because of there are vary few buildings with enough height to evacuate. When you are in east side of the station such as Wakamiya-oji street or Komachi-dori street, go to Myohonji Temple [妙本寺] in the east mountain side. If you are in and around Tsurugaoka Hachimangu Shrine, go to the mountain side furthermore. If you are in the west side of the station, go to the direction of Kamakura City Hall. Then, go to Onari Junior High School [御成中学校].